In today's NFL, no position is more important than quarterback. 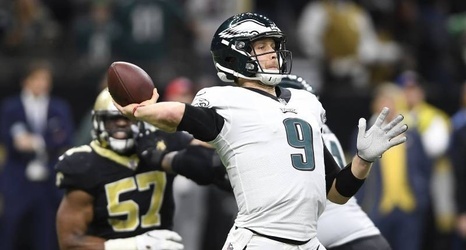 And when free agency opens in March, no signal-caller will be more coveted than Super Bowl LII MVP Nick Foles. But while QB-needy teams from New York to Miami daydream about bringing Foles in via a fat free-agent deal or a tag-and-trade with the Philadelphia Eagles, those teams are letting desperation cloud their judgment. It's just as likely that Foles will be an overpaid boondoggle as it is that he'll be a franchise savior. Foles, who started seven games in place of an injured Carson Wentz in 2018 (including two in the postseason), inched that much closer to the open market earlier this week.